Easy to apply, paste wax. Detergent proof and will last a year. 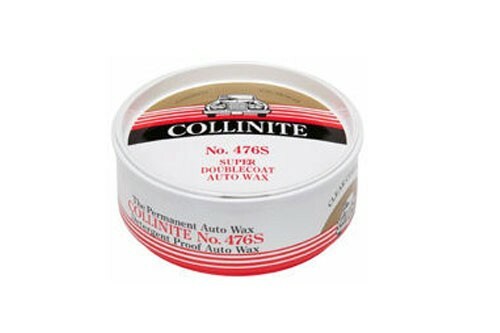 One of the finest paste type auto waxes available. Easy to apply and absolutely DETERGENT PROOF. Collinite Super Doublecoat is guaranteed to outlast and outshine any other competitive auto wax, polish or protective coating under any conceivable condition. That's why it's called the PERMANENT AUTO WAX. No hard rubbing or buffing... and no special applicator is required. Collinite Super Doublecoat will last a full year, even under adverse conditions. Clear coat safe.